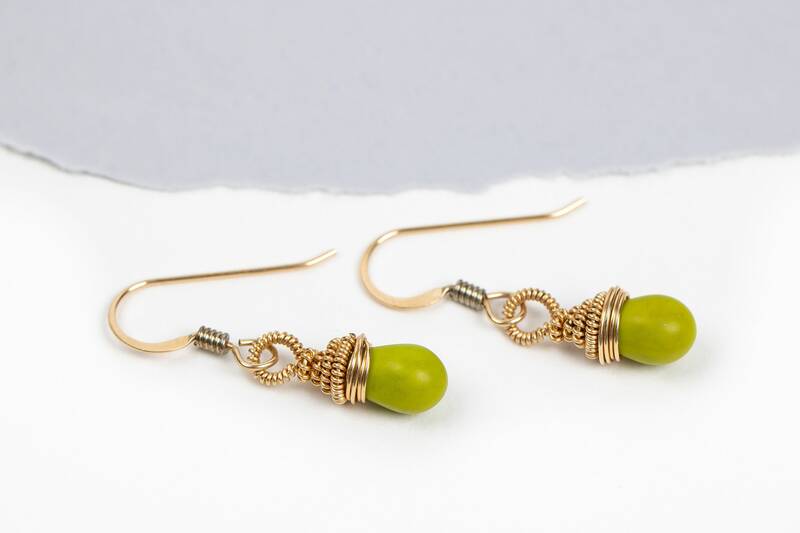 I handmade these pretty green earrings by wire wrapping Czech Glass beads in 14K Gold Fill wire. 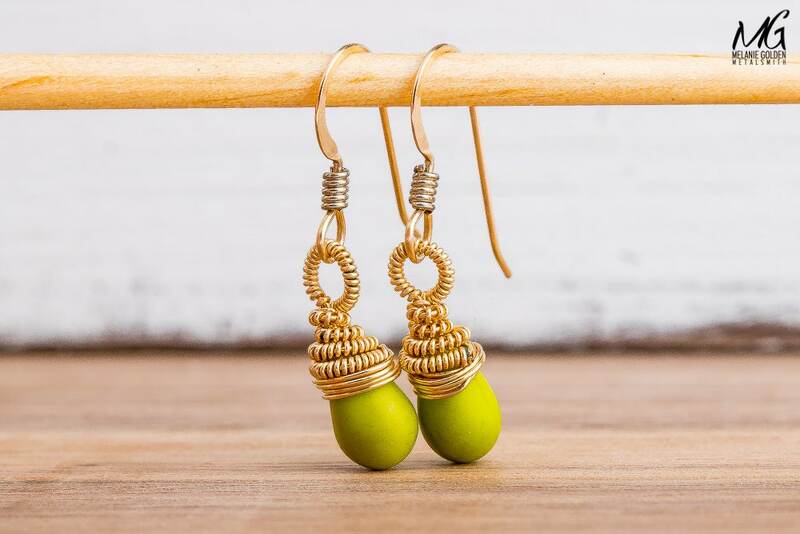 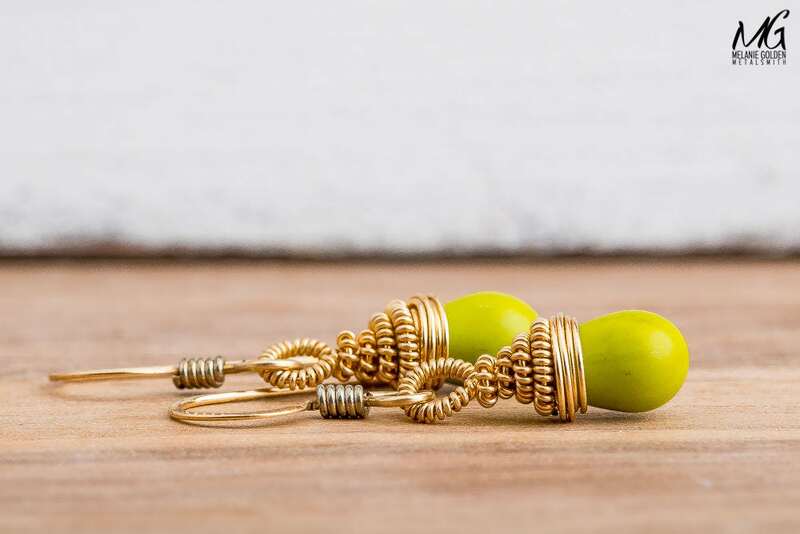 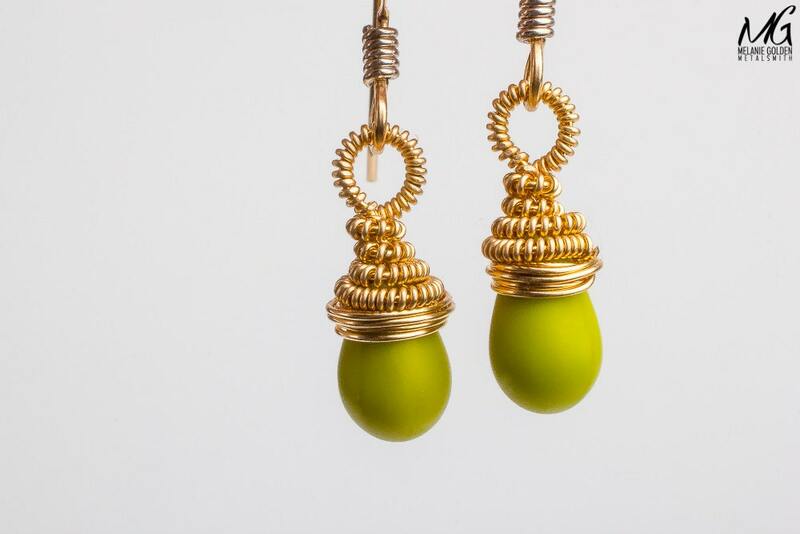 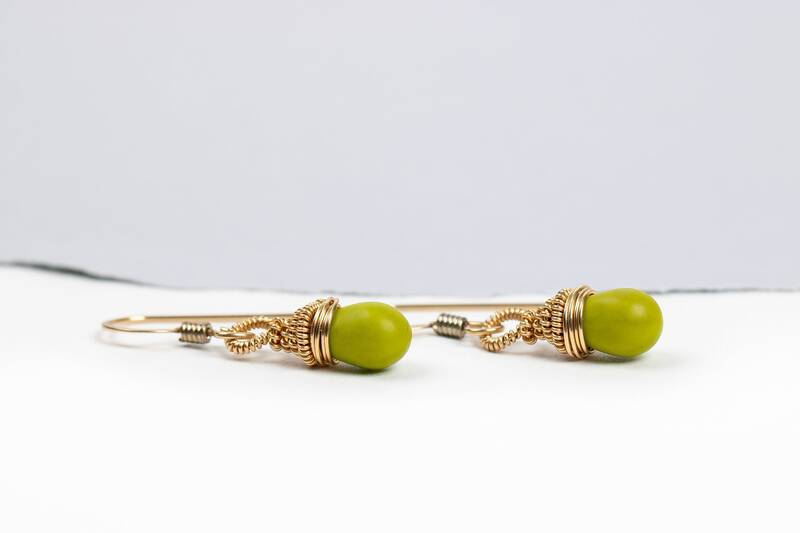 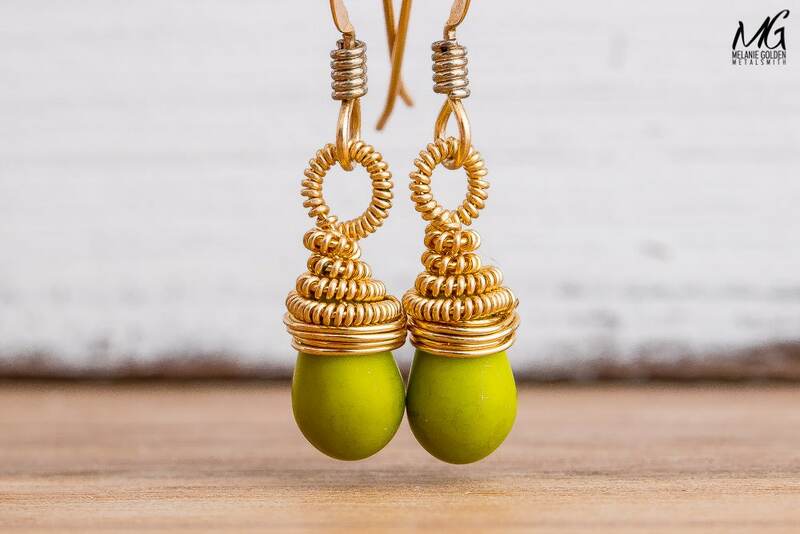 These green and gold earrings are small, simple, modern, and would make an excellent gift to a loved one. 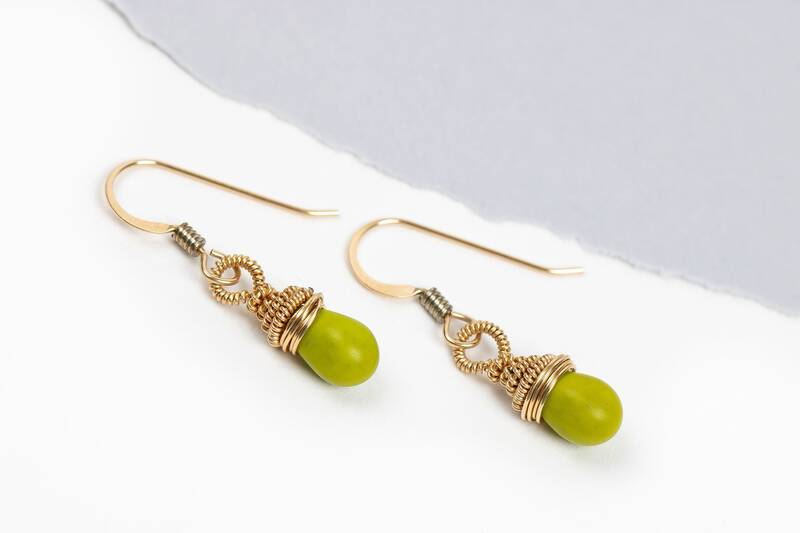 - Earrings measure approximately 6mm x 30mm. 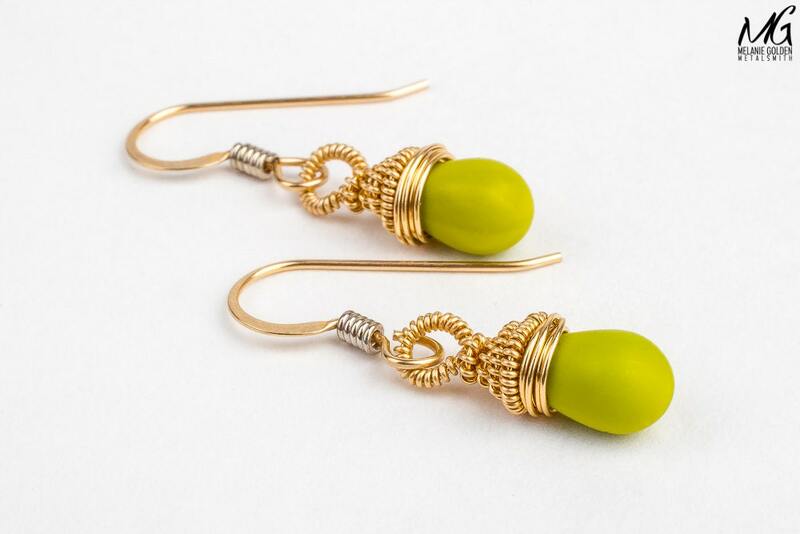 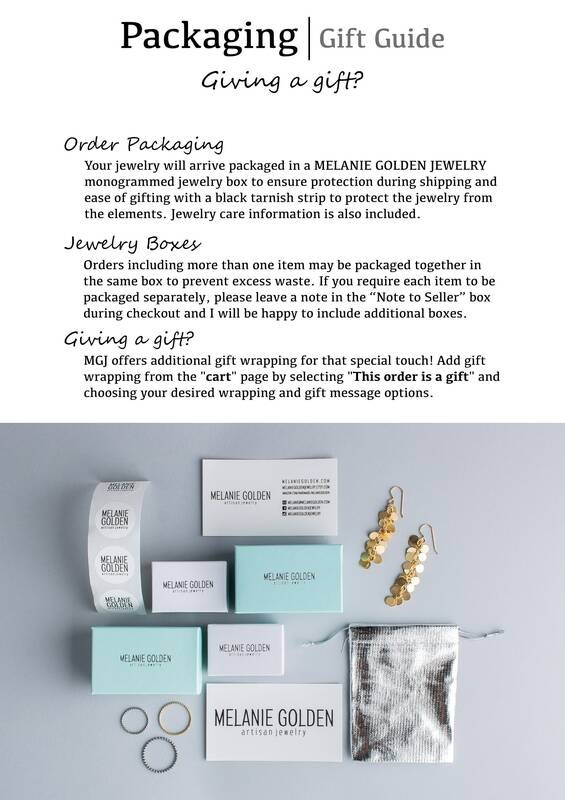 - Earrings are made entirely from 14K Gold Fill wire and Czech Glass beads.